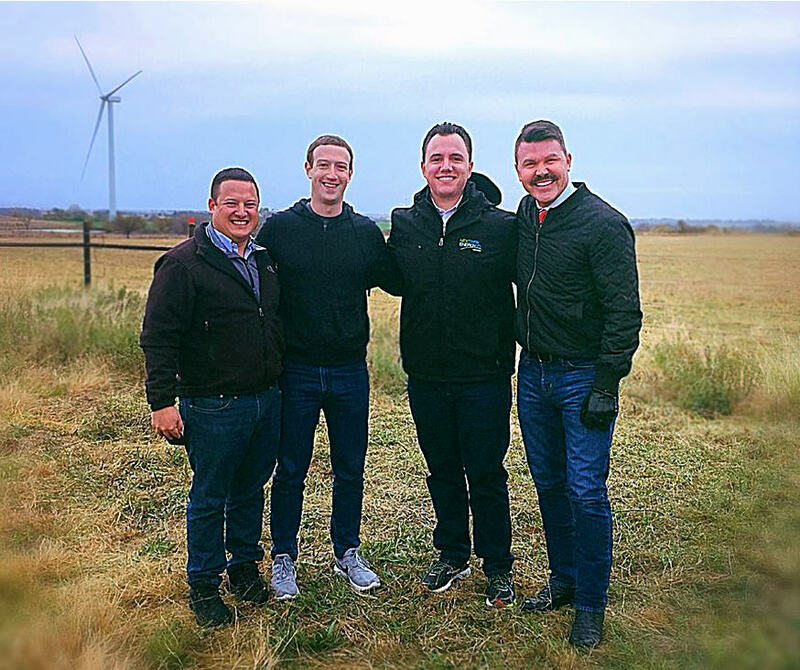 Director Jim Roth introduces Facebook CEO Mark Zuckerberg to Oklahoma, state's clean energy potential - Phillips Murrah P.C. Jim Roth, Phillips Murrah Director and Chair of the Firm’s Clean Energy Practice, was quoted in a Duncan Banner article by Katherine Farrow regarding a recent meeting he and Facebook CEO Mark Zuckerberg had in Duncan, OK on Nov. 8 in regards to Oklahoma’s clean energy future. Jim Roth, Director and Chair of law firm Phillips Murrah’s Clean Energy Practice Group, said that he was contacted by Zuckerberg’s office approximately four months ago to set up the visit. Kismet dictated that Zuckerberg and his team would be visiting the week before Veteran’s Day, and Roth knew that wind energy giant NextEra would be the perfect destination due to their veteran-friendly hiring policies. Zuckerberg spent his time at the wind farm speaking with wind technicians, land owners and neighbors of the project about the ways wind energy has been beneficial to their lives. A look at a horizontal blade that was on the ground as well as a tour of an actual wind turbine and tower were two of the items on the agenda for Zuckerberg, who according to Roth, very much enjoyed the time spent and knowledge gleaned from the experience. “He just talked about how kind everybody was — how much he enjoyed it, I think he really enjoyed the back-and-forth with the local landowners and the wind-techs, so I would say all-in-all he seemed to have a really positive experience,” Roth said. Even Zuckerberg’s advance team enjoyed their look at Duncan and the surrounding areas, according to Roth. The team reportedly was in the area several days in advance to make sure the visit ran smoothly and had nothing but glowing reviews for Duncan and Stephens County. Roth said he was extremely impressed with Zuckerberg, as well and hopes to be able to boast of another Facebook founder visit to the state someday. Read the full article from the Duncan Banner.